To contribute to the development of the open-source framework IndoorLocation.io. 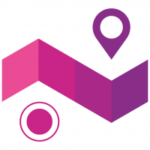 IndoorLocation is the first open-source unified framework to manage locations coming from any Indoor Positioning Technology. The goal is to simplify the inter-connection of any indoor positioning technology (like beacons, wifi, lifi, ultra-sound, sensor fusion) to maps and analytics. To integrate new providers, you will need to understand their SDK, potentially play with their hardware, create a provider for iOS and Android together with demo applications, document everything in English and publish on Github. You will be reporting directly to the CTO and working hand in hand with the whole development team.